Two summers ago, our friends and I played a really fun game involving dollar bills and the Dollar Store. 1. Get a bunch of friends and/or family together. 2. Go to the Dollar Store. 3. Split up and scrounge around for a perfect gift that represents each member playing. 4. Only spend $1 on each person. 5. Go somewhere where you all can sit down and pass out your gifts to each person - explaining why you picked it as you go. 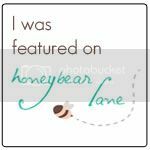 Why is this in "Mommyhood Monday"? I've been thinking about how excited I am to do fun activities with our family when our kids get older. This game is one thing I want to do - for sure. 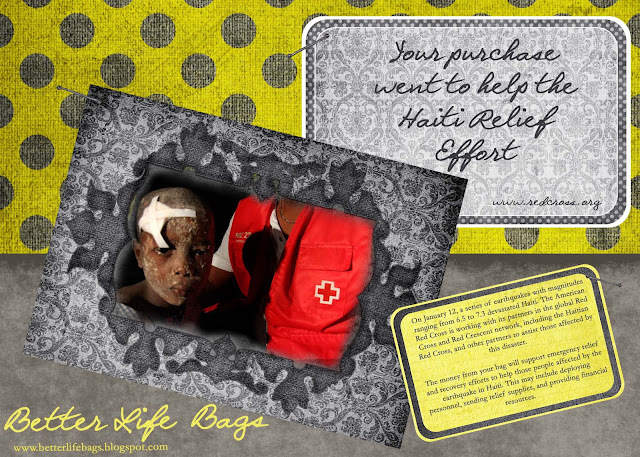 Awhile back, I dedicated all the proceeds of Better Life Bag purchases to go towards the Haiti Relief Effort until March 1st. Well, it's March 1st, so the total raised is.... $56!!!! Thanks to everyone who purchased during the month of February. 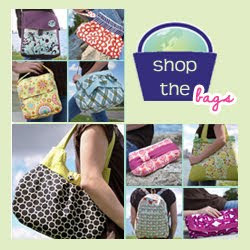 All proceeds will now go back to low income entrepreneurs in developing countries through Kiva.